These are the senators who betrayed all of us. They confirmed a liar and sexual predator to the Supreme Court. Share their names widely so everyone knows who to vote out on Election Day, November 6th, and every Election Day after that. 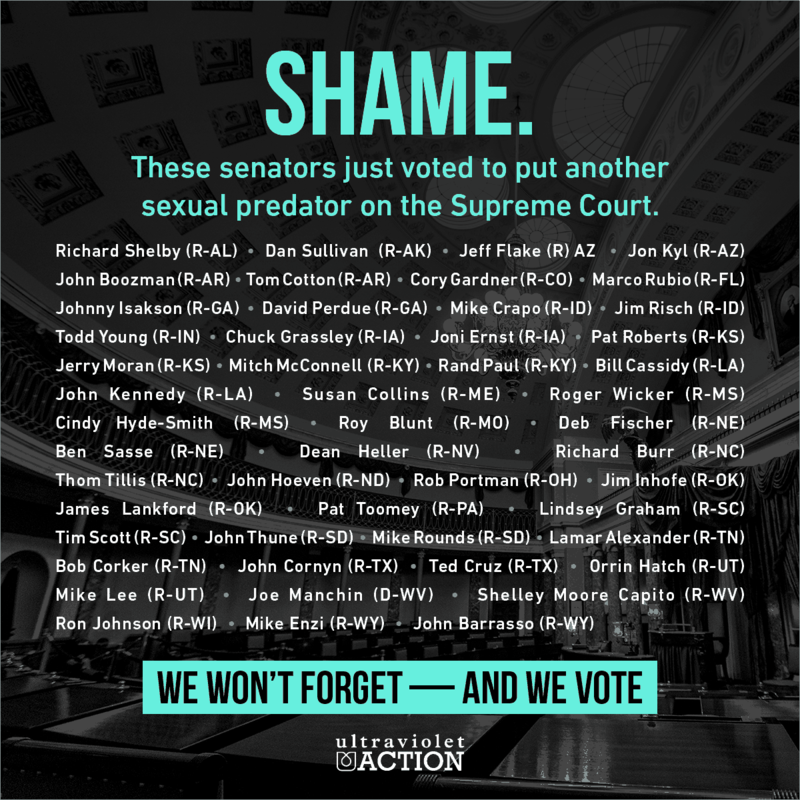 Will you join the fight to vote out these senators? Thanks! Can you spread the word?